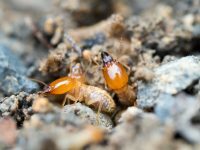 The termite treatment company that homeowners in Garden Grove, California, and all surrounding areas have trusted since 1991 is Kilter Termite and Pest Control. We make the extermination process as hassle-free as possible for our customers by providing effective and efficient treatment services that are more convenient than what our competitors provide. Plus, we offer complimentary termite inspections, so if you have any suspicion of an infestation, you can contact us for a consultation without any risk or obligation. At Kilter, we understand that the challenge doesn’t end after the termite treatment process is finished. Termites can cause extensive damage that has lasting effects. Fortunately, we have a team of craftsmen who can replace damaged wood in your home, restoring compromised areas to their original condition. To learn more about the termite treatment services that we perform in Garden Grove, CA, contact Kilter Termite and Pest Control today.